Background: From its oak woodlands, grassy plains and vernal pools to its ponds, wetlands and streams, this river-front site provides richly for wildlife. Cottonwoods lining Paynes Creek and the Sacramento River offer perches to hawks, ospreys, eagles and songbirds and cover for traveling mule deer, coyotes, and small mammals. Resident belted kingfishers share the shaded canopy with white-crowned sparrows, yellow warblers, and other songbirds each spring. Wetlands and the Bass Pond draw tundra swans, great blue herons, egrets, Canada geese, American widgeons, and resident wood ducks. The wetlands are home to beavers, muskrats, and river otters; watch for them in the irrigation sloughs. The adjacent oak grasslands shelter resident horned larks, plain titmice, acorn and Lewis' woodpeckers from spring through fall. This area is a portion of the larger (Bend). Bend is a 17,000 acre unit of BLM managed public land containing 17 miles of Sacramento River shoreline and many miles of tributaries which support riparian habitat. The riparian habitat fades into oak savanna and eventually into dry upland plateaus providing unbroken habitat continuity. Numerous non-motorized trails are available as well as tremendous opportunities to explore and discover this remarkable area off-trail. 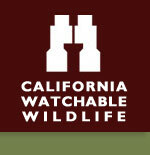 The Habitat: Wetlands, ponds, stream riparian (30%); blue oak/annual grass savanna (70%). The Experience: The Paynes Creek Wetlands has the Sacramento River on the west and south side and Paynes Creek on the east. The seasonal and permanent wetlands, in close proximity to the river and creek as well as the nearby upland plateaus, make this a haven for birds and other wildlife. The larger Bend area is a valuable and permanent wildland resource in the rapidly developing Sacramento Valley. Wildlife and Where to Find It: Car, roadside, cross-country excursions, trails. Trails are generally flat but narrow and primitive. During wet periods there are muddy areas. Viewing Tips: Good viewing year-round. Waterfowl present fall through spring. Trail to Bass Pond and fishing dock are universally accessible. Hikers and horse back riders are the primary visitors in the fall and spring. The area is open to hunting of legal game during legal seasons and is subject to heavy waterfowl hunting during December and January. Site Notes: The Paynes Creek Wetlands are a series of man-made wetlands and ponds that are fed by a network of irrigation ditches as well as winter rains. The wetlands and ponds support a host of resident and migratory birds as well as water dependent mammals, amphibians and reptiles. Surrounding the wetlands is the remainder of the 17,000 acre Sacramento River Bend Outstanding Natural Area (Bend) which supports a wide variety of habitat types, wildlife, historical and cultural features, and recreational opportunities. Bend appeals to people that want a non-motorized, unstructured, open space experience where trails are available but self-exploration is encouraged. Gravel roads, new pit toilets and parking lots are available. No fees are charged. No guided hikes or staff are available on site. Road Hazards: Between maintenance periods, there may be rough spots and pot holes. How to Get There: From Red Bluff, take Interstate 5 north 3 miles to the Jelly's Ferry Exit and turn right (east). Drive 2.6 miles to Bend Ferry Road and turn right. Cross over Sacramento River and follow paved road 2.6 miles to the parking area.